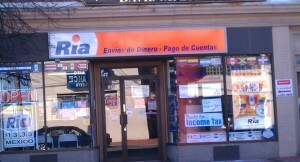 Two men entered RIA Money Transfer, located at 1357 New York Avenue in Huntington Station while the store was closed. They damaged a wall and two safes and stole a large amount of cash. This occurred sometime between January 21, 2013 at 10:00 p.m. and January 22 at 8:30 a.m. Both men were wearing winter jackets with hoods and gloves. There was another incident at this same location last year in February of 2012, when two armed men attempted to rob the same RIA Check Cashing store. During the incident in 2012, the men told the teller to “give them the cash” by the suspects who were armed with a gun. The teller did not comply with the order because she was behind bullet proof glass. The suspects ran out of the building fleeing south bound on New York Avenue. Suffolk County Crime Stoppers and Second Squad detectives are seeking the public’s help to identify and locate the two suspects.Anyone with information about this crime is asked to call Crime Stoppers anonymously at 1-800-220-TIPS. All calls will be kept confidential. 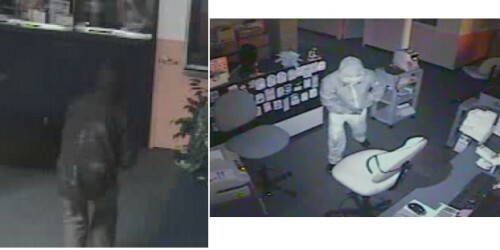 Suffolk County Crime Stoppers offers a cash reward of up to $5,000 for information that leads to an arrest.